Hi! You know, one of the advantages of living in Moscow is meeting incredible people. I can't stop making sure of this. Last week I have attended Q&A session with Susie Bubble. She is a British fashion blogger who has had amazingly popular Style Bubble blog for about 9 years(!!!) already. This meeting was at one of my favorite malls Tsvetnoy Central Market in Moscow. It is a really cool place. It doesn't look like other malls here and I like the brands which are presented there. You can also find there a Russian brand Trends Brands which sell trendy stylish pieces at fair prices. I love this brand. Anyway, the main reason for me to go to Tsvetnoy was to meet Susie. When I got there the meeting had already started. I was late because of a train in the subway running like a snail. Susie had been telling her story and how she got to the point she at right now. She was sitting with editor-in-chief of Vogue Russia and editor-in-chief of online version of Vogue Russia. After Susie told about herself editors started to ask her questions like "What is your favorite collection of this season?" and "What Russian designers do you know?". Just some regular questions which you can ask fashion blogger. But, the most interesting for me part was when audience asked their questions. 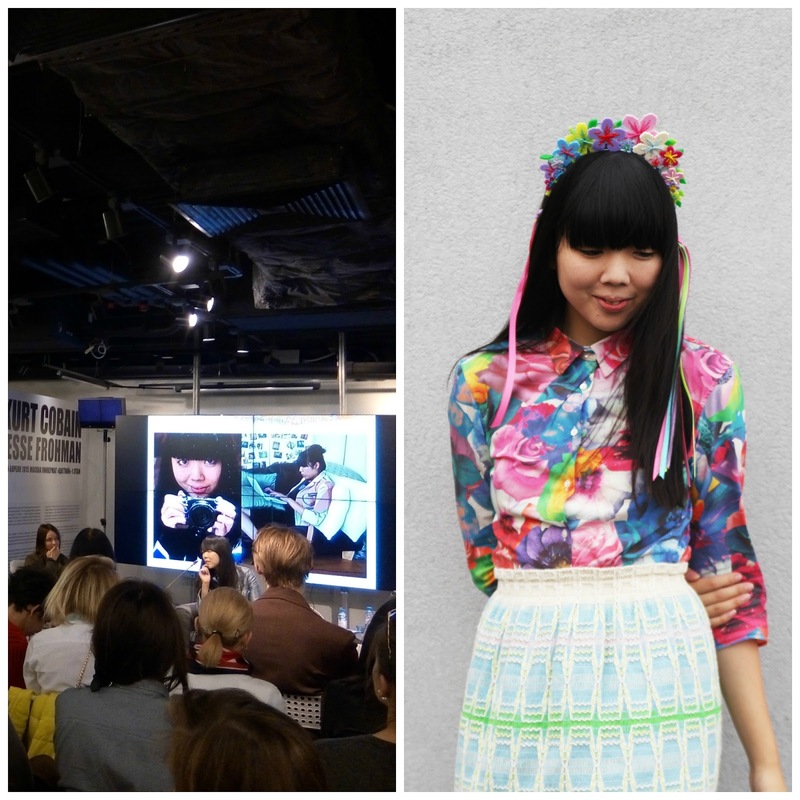 The most exciting for me question was "What could you recommend for the beginners in fashion blogging?". And Susie gave an amazingly useful piece of advice, she said: "Every beginning blogger should ask himself what he is blogging for, whether he expresses his own unique vision and how his blog stands out from others". Ugh...girl, I instantly started thinking over in my head the answers on this the most important questions. And I realized that i didn't have the clear answers. I got home and have been thinking about this questions the whole week. Finally, I can tell myself the answers. It has cleared my mind and showed me how to develop my blog! Do i have my own vision and clearly express it? How does my blog stand out from others? Why do people should read my blog?